Update: Epic Mickey 2‘s sales across November and December totaled 529,000 copies according to Disney and the NPD Group. Far more than the previously reported 270,000 copies, but still far less than the 1.3 million sold by the first Epic Mickey over the same period. After making two games that sought to recreate Mickey Mouse for the 21st century, Disney Interactive has shut down Warren Spector’s development house, Junction Point Studios. Disney confirmed the closure to multiple outlets on Tuesday morning. It has been a tough week for developers. Last week saw the end of one of the oldest publishers in gaming, THQ. The the 23 year old company saw all its properties sold off, and several people were laid off, while others face uncertain futures with new publishers in charge. Prior to Disney’s confirmation that the studio had been shut down, Star Citizen studio, Roberts Space Industries, had tweeted, “Second 21 gun salute for a studio in 7 days. Fare-thee-well Junction Point! We hope that you all find new studios soon!” The tweet was swiftly removed. RSI then said that it had received news of the closure not from a studio source but from My Nintendo News. That website, though, cited RSI as the origin of its post, so it’s unclear what information was leaked when. It’s sad to see a staff with a talent for quality close, especially one headed up by someone with as storied a career as creator Warren Spector. While the Epic Mickey series had some of the spirit of Spector’s best work like Thief and Deus Ex, neither game was of a high enough quality to make Junction Point one of the industry’s best. Neither were they major commercial hits for Disney. The original game sold well when it released on Nintendo Wii back in 2010, moving 1.3 million copies over its first two months on shelves. A respectable performance, but perhaps tough to swallow after pouring so much investment into Junction Point; Disney bought the studio in full in 2007 and then spent three years developing Epic Mickey. Disney had also hoped that the game could breathe life into the character of Oswald the Lucky Rabbit, the would-be Disney character that was one legal challenge away from being the face of Disney. After nearly 80 years, Disney finally managed to reclaim the legal rights to the character that Walt Disney co-created. 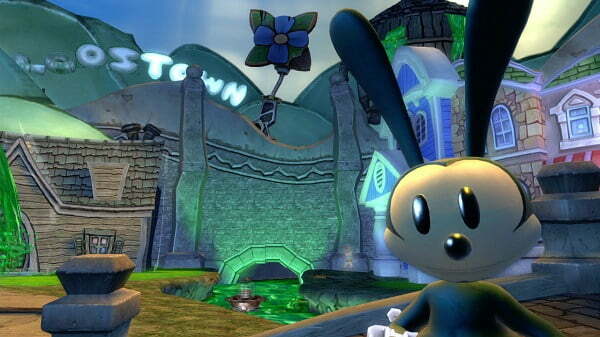 Epic Mickey 2 sealed Junction Point’s fate. The multiplatform title was savaged by critics when it came out last fall and was completely ignored by consumers. An NPD source told the LA Times on Jan. 17 that Epic Mickey 2 had sold just 270,000 copies across Xbox 360, PlayStation 3, and Wii U.
Spector won’t stay out of development for long. His thirty-year career has taken him to a multitude of different places. After leaving Ion Storm ten years ago, he opened Junction Point “to shake things up” and was reportedly working on a new fantasy game. With his adventures in the Magic Kingdom complete, it’s high time to go back to that well.